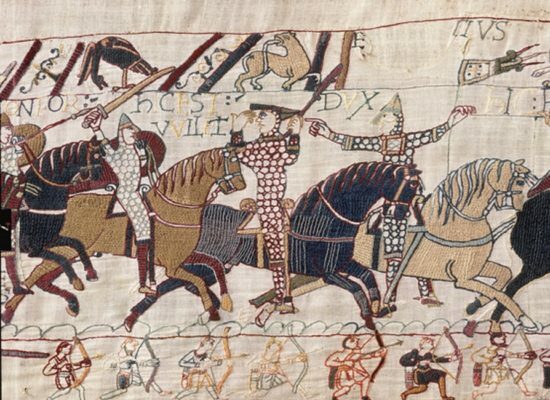 The Bayeux Tapestry tells the epic story, in wool thread embroidered on linen cloth, of William, Duke of Normandy who became King of England in 1066 after the Battle of Hastings. The visit to the museum is organised in three sections, providing an understanding of the work and its context. 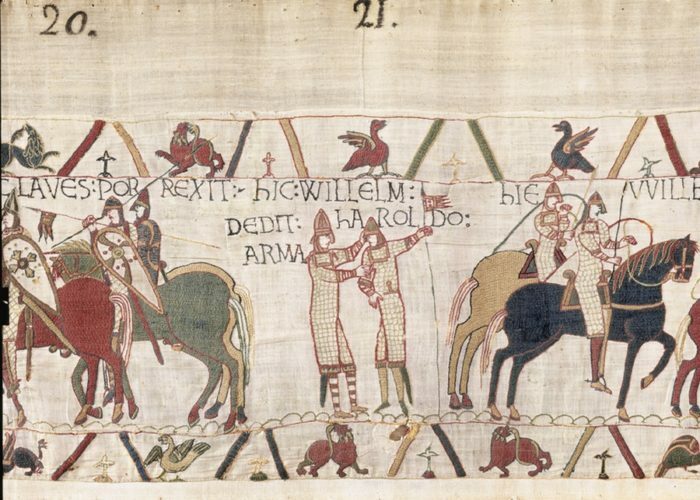 The Bayeux Tapestry is presented in a darkened space in which only the artefact itself is lit. Audio-guide commentaries in 16 languages including versions for children in French and English, and scenes in 3D relief for the visually impaired, serve to make the work accessible to as wide an audience as possible. After looking at the Tapestry itself, the visit continues with a permanent exhibition, which presents the secrets of its creation, and a overview of the historical context and the Anglo-Norman kingdom in the 11th century. 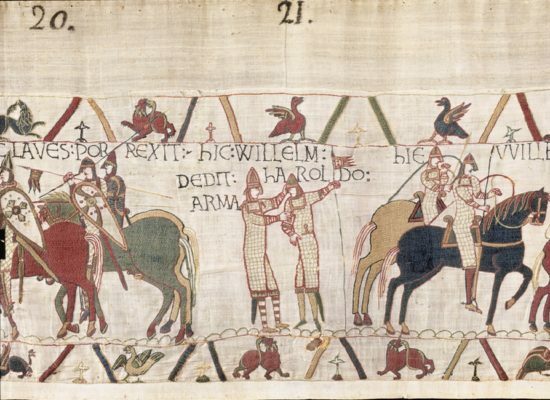 Finally, on the second floor, a 16-minute film, screened alternately in French and English, shows how the story told by the Bayeux Tapestry unfolds, including reconstructions of real scenes from the Battle of Hastings. The Bayeux Tapestry tells the story of the events surrounding the conquest of England in 1066 by the Duke of Normandy. Crossing the sea in longships, long cavalcades on horseback, shields and coats of mail, fantastic creatures and battlefields: all the details of a great medieval epic unfold before your eyes! Among the many characters brought to life in the Bayeux Tapestry, William Duke of Normandy, Harold the Anglo-Saxon and Odo, Bishop of Bayeux are the main ones. 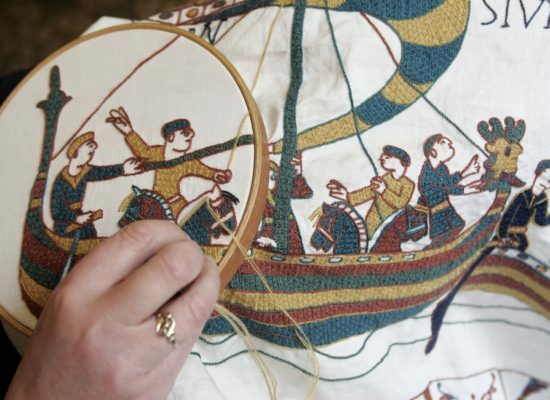 Despite its name, the Bayeux Tapestry is actually an embroidery in wool thread on linen cloth. The story it tells, based on imagery like stained glass windows, is both an epic poem and a moralistic work.